The so-called ‘geography and public policy’ debate is one of the discipline’s perennial discussions. And – sticking with the horticultural metaphor – it’s one of its most fertile too. It crackles (we’re switching metaphors now) with some of geography’s most electric interventions, from Jamie Peck’s (1999) ‘Grey geography?’, through Danny Dorling and Mary Shaw’s (2002) ‘Geographies of the agenda’, to Michael Woods and Graham Gardner’s (2011) ‘Applied policy research and critical human geography’ (there’s their interlocutors also: Pollard et al. 2000; Banks and Mackian 2000; Martin 2002; Massey 2002; Bell 2011; Gleeson 2011; Allen 2011; Bailey and Grossardt 2011; McGuirk 2011; Ward 2011). Questions explored include the feasibility and desirability of working with the state; the value of such academic labour; and the opportunities and threats which collaborations with governments hold out for critical scholars. 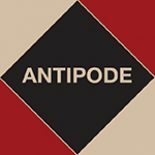 This entry was posted on 23 May 2012 by Antipode Editorial Office in Video Abstracts and tagged academic labor, academic labour, academic value, Applied policy research and critical human geography, collaborative research, critical GIS, engaged research, Geographies of the agenda, government, Grey geography?, neoliberalism, Pauline McGuirk, Phillip O’Neill, policy making, poststructural state, praxis, progressive politics, public policy, relevance, social vulnerability, the state.